Figure 1. 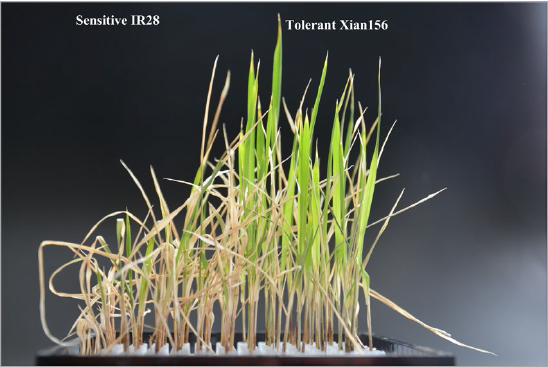 The symptoms of seedlings showed the salt tolerance of the rice sensitive IR28 genotype and the tolerant Xian156 genotype. Figure 2. 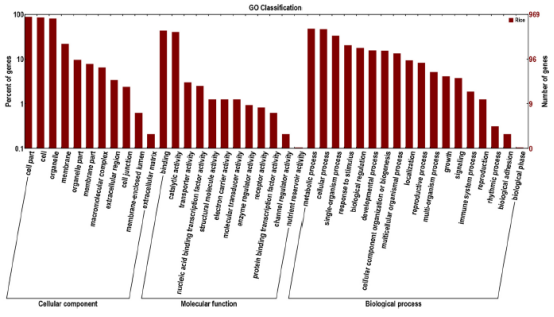 GO classification of newly identified genes in rice. Figure3. 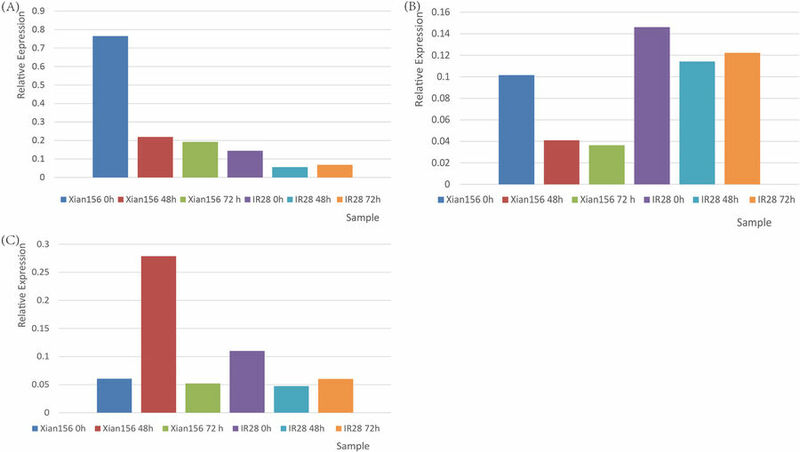 The expression of validated miRNAs by qPCR. Figure 4. 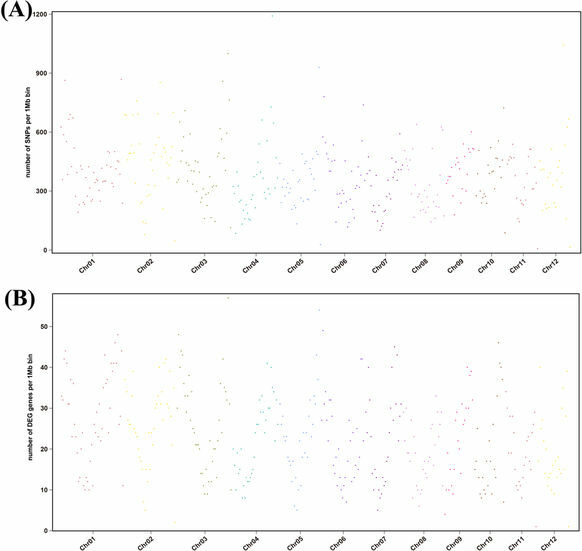 Genome-wide distributions of SNPs (A) and DEGs (B) in the rice genome.